Mcgillivray, Donald G.. "Money in Canada". The Canadian Encyclopedia, 01 February 2018, Historica Canada. https://www.thecanadianencyclopedia.ca/en/article/money. Accessed 18 April 2019. Money consists of anything that is generally accepted for the settlement of debts or purchase of goods or services. The evolution of money as a system for regulating society’s economic transactions represented a significant advancement over earlier forms of exchange based on barter, in which goods and services are exchanged for other goods or services. Canadian money has its roots in the Indigenous wampum belts of the East, the early currencies of European settlers and the influence of the United States. Vintage Canadian paper currency, used instead of coins, dated January 1900 - reverse side. 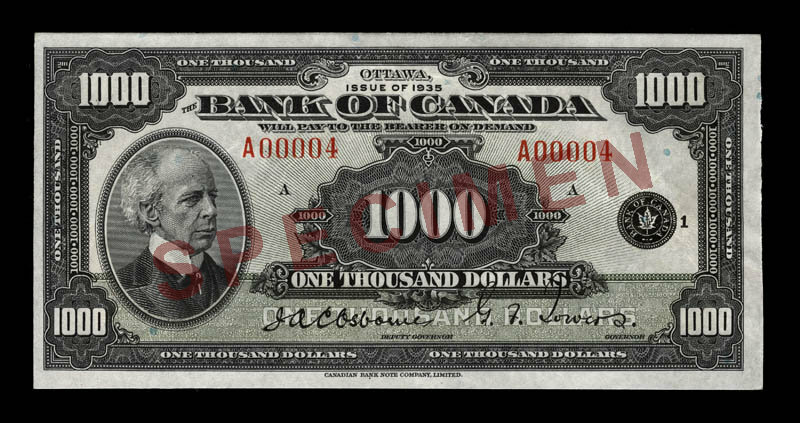 Dominion of Canada, ,000 note. Issued 2 June 1896. Vintage Canadian paper dollar featuring a young Queen Elizabeth. 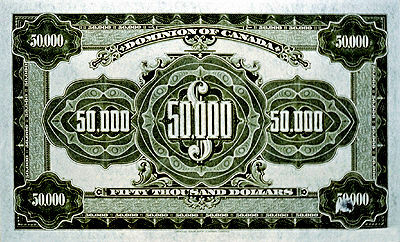 Five-dollar Royal Bank of Canada bill (1943) (photo by James Zagon/courtesy Currency Museum, Bank of Canada). Dollar bill, 1870. 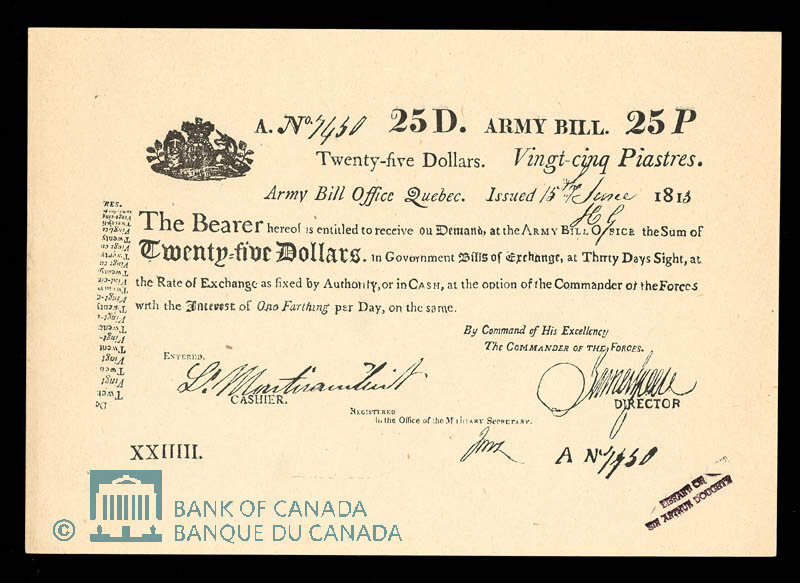 These were the first bills issued by the new Government of Canada (photo by James Zagon/courtesy Currency Museum, Bank of Canada). Money has at least three functions: it serves as a medium of exchange; a measure by which prices, debts and wages are expressed; and a store of value. These functions are interdependent, although some theorists (e.g., Keynesians, Marxists) stress that money must have intrinsic value (e.g., gold or silver) that represents labour, while others (e.g., monetarists) emphasize that the most important characteristic of money is its acceptability as a means of exchange (see Monetary Policy). In many early societies gold and silver served as money. They had intrinsic value, were easily portable and divisible, and were indestructible. Gold and silver coins were minted by the state (see Coins and Tokens). 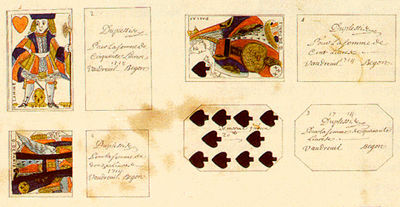 The 17th-century development of goldsmith banking in Europe marked the transition to paper money. Goldsmiths issued paper bills backed by the gold in their vaults. During the 18th and 19th centuries, European states established central banks to regulate their monetary systems. 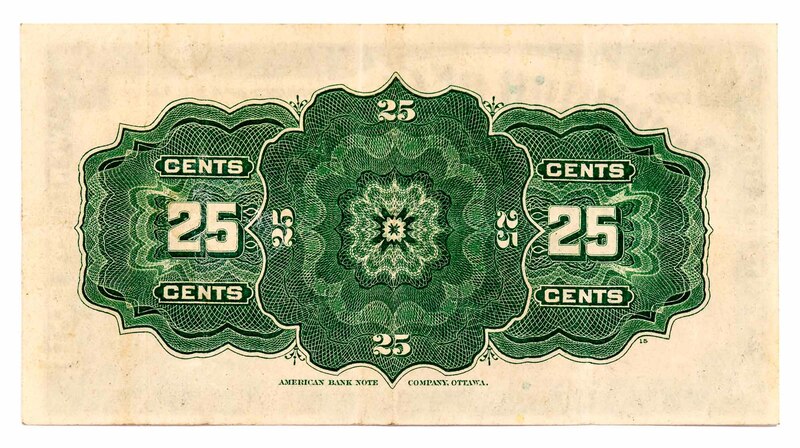 By the turn of the 20th century, most states had taken over the issuance of paper money backed by bullion. Today, none of the major state currencies is officially backed by bullion (see Gold Standard). Indigenous people in North America had been trading and bartering for goods and services long before European contact. Objects made of copper, precious metal, furs and other resources formed the basis of an early monetary system. In particular, the wampum belt has become an enduring symbol of early Indigenous currency; however, it wasn’t used as currency before the arrival of Europeans. At the time of European contact, wampum belts were used to symbolize agreements of mutual respect and peace between First Nations and European newcomers. 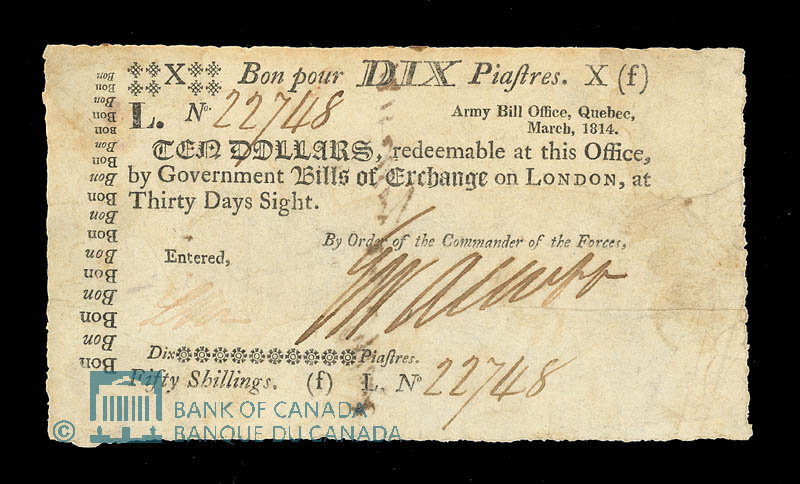 Playing-card money was invented to overcome a currency shortage in New France. New France’s first paper money was playing cards, specially cut and signed by the governor and issued in 1685 to supplement the chronically short supply of French and Spanish silver coins then used as the main medium of exchange (see Playing-Card Money). Their inscribed value was supposedly guaranteed by the colonial government. In an attempt to pay for the Seven Years War, the government issued vast amounts of paper money, the worth of which it could not guarantee. The result was rampant inflation. After the Conquest (1759–60), the British introduced the pound. For almost a century, British pounds, shillings and pence were official money in Canada; and, the standard value for the various kinds of money in circulation. The Spanish dollar was rated at five shillings, which meant there were four Spanish dollars to the pound. Spanish dollar banknotes were printed, including a $4 denomination to conform to the official value of the pound. Issuing date: 15 June 1813. Issuing date: 1 January 1815. 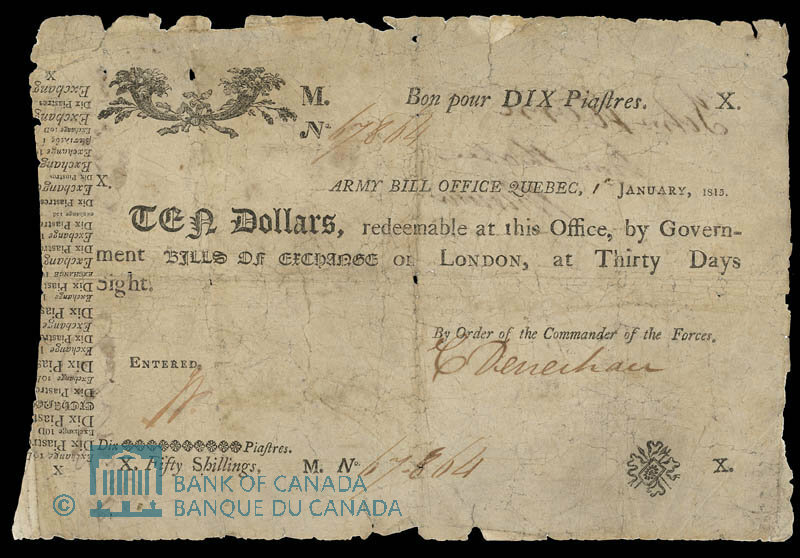 British money never became dominant, however, and a hodgepodge of money circulated in Canada in the first half of the 19th century, including Nova Scotia money, American dollars, Spanish dollars, American gold coins and “army bills” used by the British forces to buy supplies in the War of 1812. 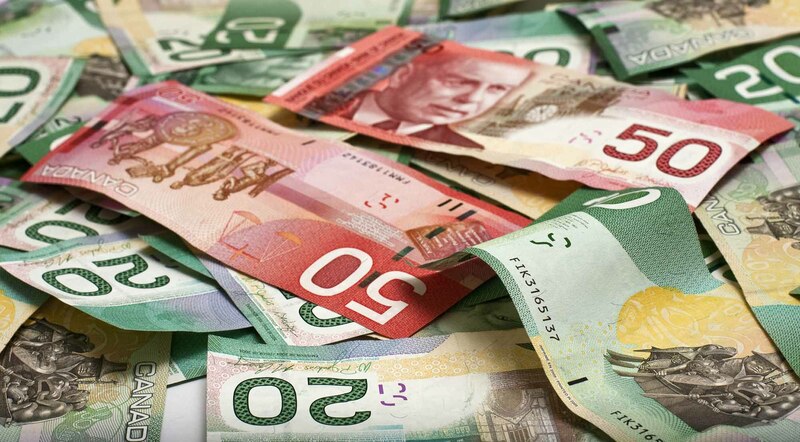 The use of the army bills accustomed Canadians to reliable paper money. The decision to reject British money and adopt a decimal system like that in the US was made in the decades before Confederation. In 1858, a law required that accounts of the government of the Province of Canada (now Ontario and Québec) be kept in dollars instead of pounds. 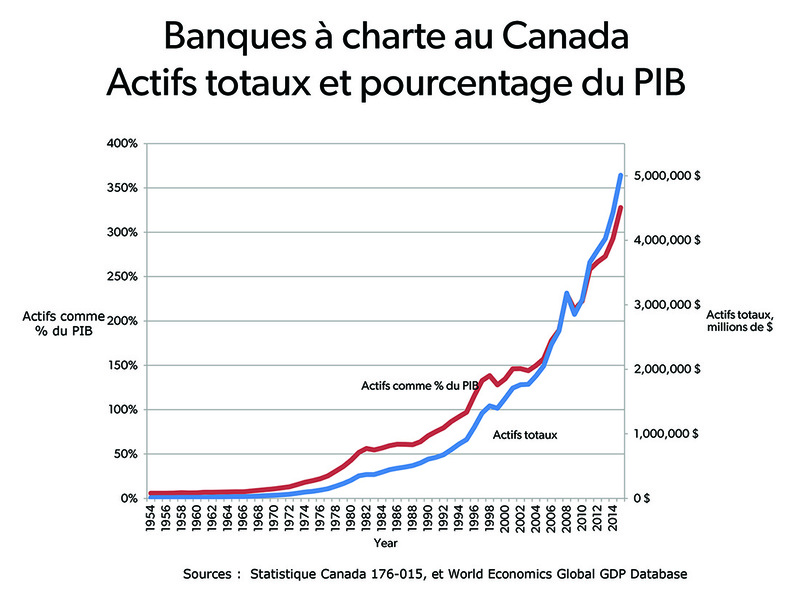 At the same time, the government began to issue its own money to circulate alongside the bills issued by the Bank of Montreal and other banks. 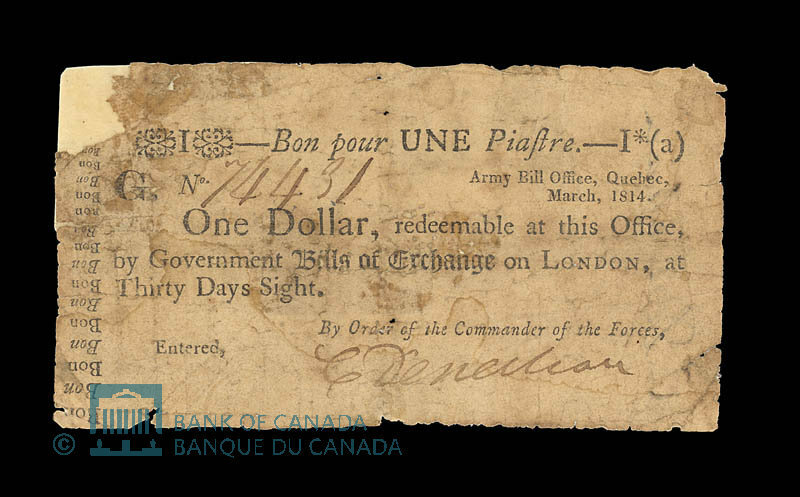 In the first decades after Confederation, most Canadians simply assumed that a dollar was a dollar, whether it was issued by the governments in Washington or Ottawa, or by a bank. Canada’s monetary system always paralleled that of the US, with some notable differences. 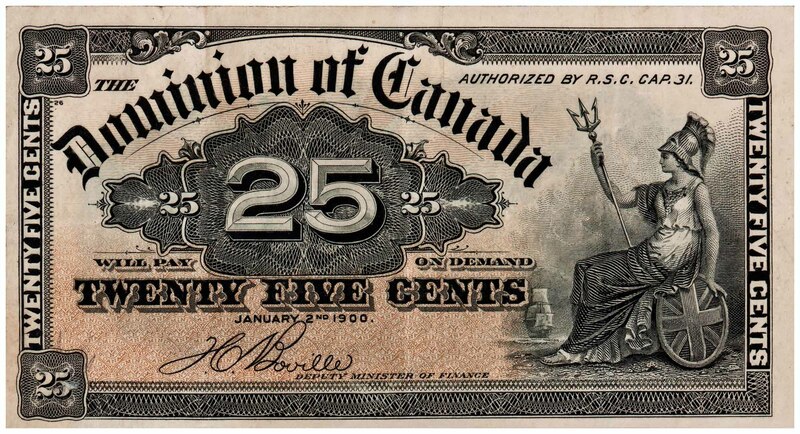 In 1870, the Dominion government issued shinplasters (25¢ government notes) to counteract the effect of an overabundance of American silver coinage in Canada that was worth only 80¢ against the Canadian dollar at that time. The Canadian dollar has since fluctuated from as high as US$1.08 in 2007 to as low as US$0.62 in 2002. As of 2013, the Canadian dollar and US dollar were close to parity. The first dime (10¢ coin) came into circulation in 1858, the first quarter (25¢) arrived in 1870, and the Royal Mint (now Royal Canadian Mint) issued the first Canadian-minted coin in 1908. The penny (1¢) was introduced in 1920, and the nickel (5¢) came into circulation in 1922. The first “loonies” ($1) were minted in 1987, replacing the paper dollar, followed by the “toonie” in 1996, a $2 coin that replaced the paper bill. 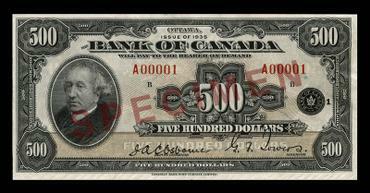 Canada’s bills began circulating with the $1 in 1858, followed by the $2, $50, $500 and $1,000 notes in 1887. 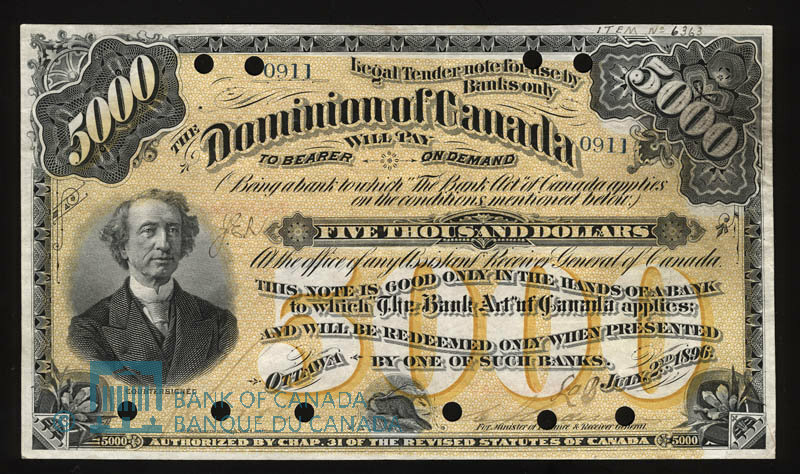 Founded in 1934, the Bank of Canada continued to print in denominations issued by the Dominion of Canada, but added a $20 note. This was the only 0 note ever issued by the Bank of Canada. It features a portrait of Sir John A. Macdonald, Canada's first prime minister, wearing a fur-collared coat. 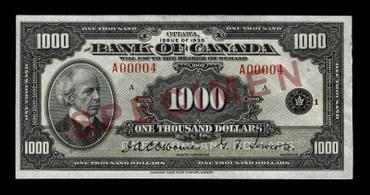 ,000 note carries a portrait of Sir Wilfrid Laurier, Canada's seventh prime minister. The portrait, which depicts Laurier wearing a Prince Albert coat, was engraved by American Bank Note Company's master engraver, Edwin Gunn. The most noteworthy changes to bills and coins in recent years was the introduction of polymer bills in 2012 and the penny’s abolishment in 2013. Thought to be a more durable bill with fewer counterfeit risks, the Bank of Canada began issuing polymer money in $100 and $50 denominations in 2011, followed by the $20 in 2012 and the $5 and $10 in 2013. Canadians have long been at the frontiers of medical research and as a result have helped to save millions of lives worldwide. Notable Canadian contributions include pioneering the use of insulin to treat diabetes, DNA and genetic research, the invention of the pacemaker, and the first hospital-to-hospital robot-assisted surgery. The icebreaker plays an important role in the North, keeping Canada's historic passages open, undertaking marine search and rescue, supporting isolated communities, and participating in international environmental research. The CCGS Amundsen helps Canada—the nation with the world's longest stretch of Arctic coastline—to remain at the leading edge of Arctic research, providing the world's oceanographers, geologists and ecologists with unparalleled access to the North. Canada’s monetary system is closely linked to the international system, which has undergone serious crises since the Great Depression of the 1930s. These crises have manifested in high rates of inflation, hyperinflation in many countries, high interest rates, erratic gold and silver prices (see Commodity Trading) and developing world debt problems. The 1970s revived interest in the old idea that inflation was essentially caused by too much money in circulation, and attempts were made to try and limit the money supply in the economy. The money supply (total amount of money) includes cash, bank deposits, deposits in financial institutions, certain kinds of short-term notes (such as commercial paper) and sometimes credit cards. The Bank of Canada has several operational definitions of the money supply. M-1 counts currency in circulation outside of the chartered banks, i.e., the actual cash in people’s pockets and bank deposits that can be withdrawn without notice; it is the narrowest definition. M-1B, which equals the Canadian M-1 plus chequable savings deposits, is the equivalent of the US M-1. 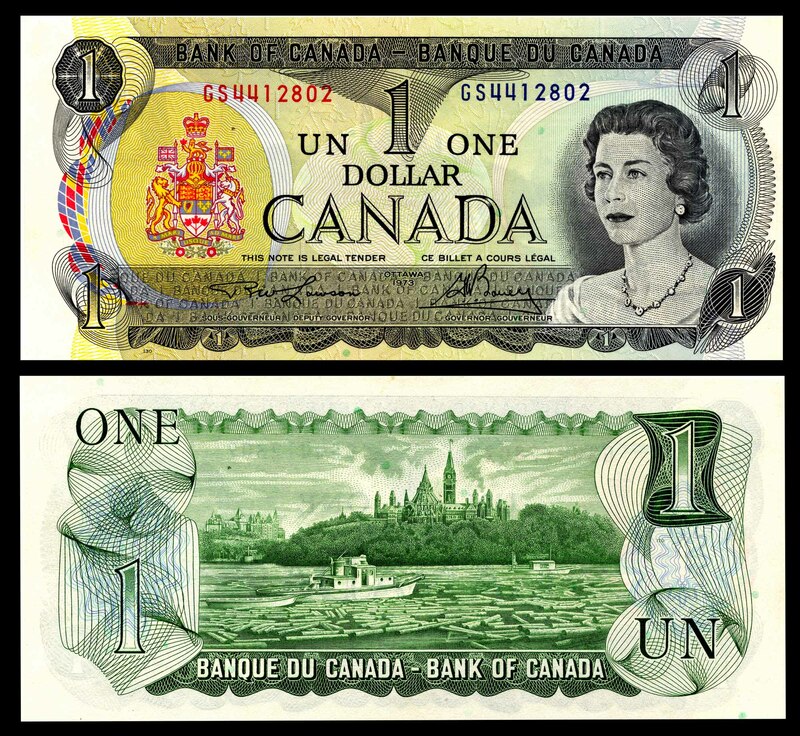 The Bank of Canada tried prior to 1982 to regulate the M-1 to restrain the money supply in an attempt to lower inflation, but the introduction of computer banking made it difficult to determine if M-1 could accurately measure the existing money supply. The next widest definition of money supply, M-2, includes M-1B plus non-chequing personal term and savings deposits and some corporate chequable and non-chequable notice deposits. Canadian M-2 corresponds to the American M-2. The broadest definition of money supply is M-3. 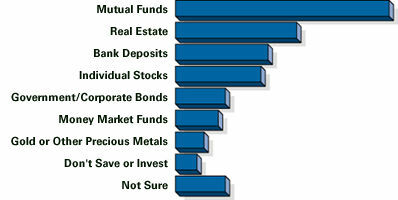 It consists of M-2 and non-personal term deposits, including certificates of deposit held by business corporations. The total money supply consists of M-3 plus Government of Canada deposits in chartered banks. Though Canadians increasingly rely on electronic banking, money’s physical presence continues to be significant. The process of monetary evolution that began several thousand years ago is still under way. The exact direction it will take is impossible to predict, but some elements of the functions of money as a store of value, measure of value and medium of exchange, will be retained. Cryptocurrencies are digital or virtual currencies — such as bitcoin, ethereum, litecoin and Zcash — that are encrypted in order to secure their transactions and regulate the creation of their units. They are not backed by governments or their central banking systems, such as the Bank of Canada, and are therefore considered to be “decentralized.” Cryptocurrencies are not subject to government monetary policy or regulation and the fees and policies of traditional financial institutions. They are instead regulated by their encryptions as well as the people who use, verify and “mine” the currencies and the exchange of their units. Single cryptocurrency units are often “mined,” or created, by users called miners through a process in which they use computer processing power to verify individual transactions, which are stored in a public ledger. Cryptocurrencies gained popularity in the years following the 2008 global financial crisis — a time of growing distrust in government-backed financial systems (see Recession of 2008–09 in Canada). Launched in 2009, bitcoin was the first decentralized cryptocurrency. Hundreds have been launched since then. Cryptocurrencies can be exchanged for traditional currency, including Canadian dollars, and can be used in brick and mortar stores or online wherever they are accepted. As they are exchanged anonymously, cryptocurrencies are often used in the underground economy to purchase illegal goods and services. What are Cryptocurrencies? from Cloud in the Sky Studios on Vimeo.